The ride-hailing market can have competition between platforms getting so fierce that the loser can run the risk of literally going out of business. The one-time global ride-hailing brand giant, Uber, had been in a fierce contest for customers in Southeast Asia with a local rival: Grab, a similar but regionalized service based out of Singapore. Founded in 2012, its operations eventually expanded from its small home nation to many of its neighbors: Malaysia, Indonesia, Thailand, Vietnam, Cambodia, Myanmar, and the Philippines itself. Now however, Uber is quitting the SEA market and foisting its business in the area to Grab. 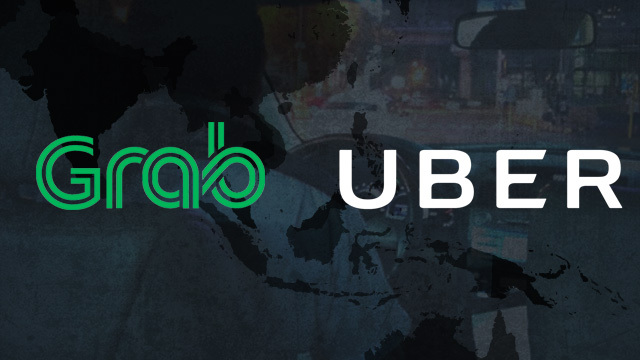 CNN Philippines has it that Uber has given up on establishing a presence in Southeast Asia, and is selling its business to Grab – formerly GrabTaxi – the local competitor that spelled its downfall. This was made public by a joint statement by the two companies just this Monday, March 26. Said announcement played coy with how much Uber offered to Grab for their SEA assets. What is made known however is that under the terms of the agreement Uber Technologies Inc. will receive a 27.5% stake in Grab that will give them a voice in how the company is being run. It may not seem much right now but Grab officials, especially in their Philippine offices, see only good things happening once Uber’s Southeast Asian operations are sold off to the Singapore-based company. Grab Philippines Country Head Brian Cu spoke of improvements for their partner-drivers and the Filipino customers using Grab’s ride-hailing app. “The combined services of Grab and Uber signals a wider network of TNVS drivers and passengers and improved ridesharing services,” he said. Both Uber and Grab will be cooperating in the smooth migration of Uber users and drivers. This also includes merchant partners signed to Uber’s delivery platform. Southeast Asia is only the latest in the multiple fronts of the international ride-hailing tech scene where Uber is beating a hasty retreat. Last year, the San Francisco-based company conceded defeat in Russia against the country’s home-grown service Yandex. Like the prospective SEA deal, Uber came out of the agreement with a 37% stake in Yandex. In 2016 Uber also folded in China and sold its assets there to Didi Chuxing. The reason for these reversals was, as Uber CEO Dara Khosrowshahi puts it, “fighting multiple battles against multiple competitors”. According to Uber, about 500 employees in their Philippine offices are expected to transition to Grab’s business organization. On the larger scale, Grab is also sending a merger notification back home to the Competition Commission of Singapore, to inform government regulators of the ongoing transition. Those who at least try to keep on top of the gaming scene would know that there is one hot new genre for network-based multiplayer gaming: Battle Royale. It started in December 2017 with “PlayerUnknown’s Battlegrounds”, a firefight extravaganza involving players divided into teams, deployed on a battlefield with only their avatar’s clothes on their backs, arming and equipping themselves with discarded weapons and gear, and hunting each other until one team is wiped out. PUBG’s success was followed by imitators like Epic’s MMORPG “Fortnite”, which introduced its own BR mode. Despite copying PUBG, Fortnite’s out-earning it in monthly revenues. According to The Verge, “Fortnite” has surpassed “PlayerUnknown’s Battlegrounds” in February 2018’s monthly earning for the first time since both games debuted. 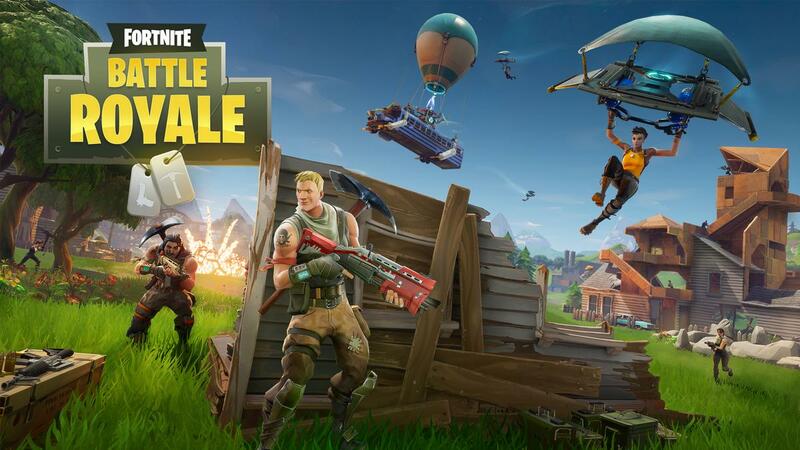 Superdata Research, a gaming analytics outfit, has determined that “Fortnite” accrued about $126 million in revenue, mostly from in-game purchases by players with real currency. This dramatic rise in earnings came from upgrades to the Korean game, originally a traditional MMORPG where players are survivors exploring a world crawling with zombie-like enemies. The addition of a “Battle Royale” mode in the vein of “PUBG” changed its gamer demographics. On the surface, the two PC games now have similar premises and mechanics: players parachute down onto an island battlefield with abandoned towns and facilities, picking up items to then use in battle against one another, or as “team vs. team”. The differences however are in the business models. “PUBG” is a “sold” software requiring players to pay its license on services like Steam. Through this is generated the game’s monthly revenue, totaling $103 million. “Fortnite” however is free-to-play, meaning more players have access to it. In addition, the Epic title has a greater variety of paid in-game content that the players can then purchase, each to their own needs. “Battlegrounds” developer PUBG Corp. has tried to copy a page from “Fortnite” in adding more in-game purchase options like cosmetic alterations to character avatars, but it will be an uphill battle to catch up back with “Fortnite”. That is because the latter has another advantage over the former in that it is multiplatform in nature. Aside from the PC, this game is available on PS4 and Xbox One, and is testing the waters on an iOS mobile version. Furthermore, the greater player numbers of “Fortnite” lies in the fact that graphically it is more kid-friendly, unlike the grittiness of “PUBG”. Superdata also notes that one internal factor that has slowed introduction of new content by “PUBG” was the fact that its developers have been too busy cracking down on cheat players exploiting the game, which then takes away time to polish the “Battlegrounds” gaming experience. Last month, the Philippines had reason to be up with the info Chinese television (if not tuning in themselves). 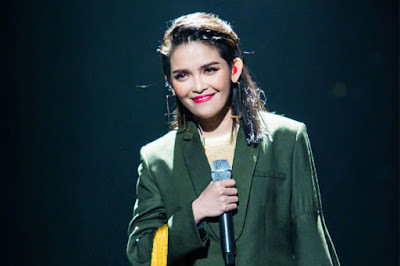 That was because on week 5 of reality competition “Singer 2018” on Hunan Television, singing marvel KZ Tandingan made her debut as a replacement contestant, even going so far as to outperform British singer Jessie J, who she had looked up to in the early days of her career. Over the next few weeks KZ continued on the show. Unfortunately her streak on “Singer 2018” would last only 5 weeks, with KZ being one half of a double elimination last Friday. CNN Philippines has it that KZ Tandingan was eliminated in the March 16 episode of “Singer 2018”, a development shared by the Filipina singer herself on her Twitter page. That Friday last week was the Knockout/Challenge portion of the competition’s third round, and the first time that two contestants were eliminated from contention. This was due to Jessie J being absent from the March 9 (Qualifying) episode, rendering the results tabled until she returned the following airdate. Here the British powerhouse sang her way into her fourth Rank-1 finish, while KZ and Chinese singer James Li floundered with low votes. “I close my eyes because faith is seeing for me,” KZ, whose various song genres include acoustic jazz, R&B, soul, pop, EDM and rap, wrote in her announcement tweet. “I did everything I could, but the results are out of our control. I’m going home tomorrow with a happy heart.” In addition, her official Facebook page also announced her elimination from “Singer 2018”, and shared a video of her final performance from last Friday night. KZ, the third person to perform that episode, sang “Royals” by New Zealand singer Lorde. March 16 was also a challenge phase, with Henry Huo, who came in on March 9, fighting to secure his spot in the contest, which he did by ranking the last “safe spot”. With the results in, KZ founder herself in the bottom three of the competitors along with James Li and Inner Mongolian singer Tengger. In the end, voting from the studio audience saved Tengger and consigned KZ and Li to leaving the competition. However, her elimination does not necessarily spell the end of KZ appearing on “Singer 2018”. “This won’t be the last time the world will hear a Filipino sing her heart out,” she said at the closing of her Twitter post. “Thank You Lord! Mabuhay ang Pilipinas!” That is true; she and James Li will return in the March 23 episode for their respective farewell numbers. One of the many and varied reasons why I might say that my life is very good, is the fact that I get to meet Hollywood TV Actors and Music Artists that I adore like The Fray, Jonas Brothers, Josh Groban and Mariah Carey. In my most recent visit to the US, I got the chance to meet Ben Rappaport who I have been following his onscreen career. He first grabbed my attention with his lead role in the NBC sitcom “Outsourced”. I was a call center employee at that time, had riotous laughs over the show with my workmates even as the show’s situation resonated with our own. His role was an inspiration for me to move up in the workplace and become a Manager myself. 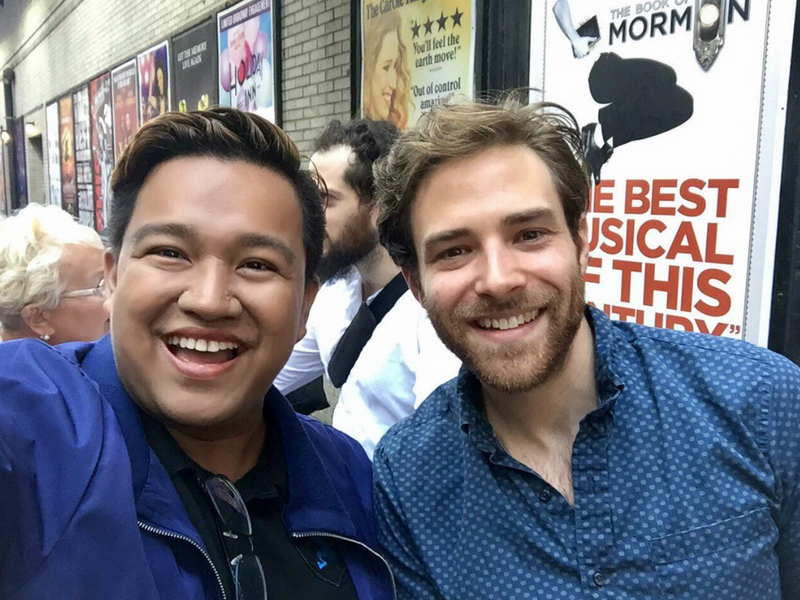 It was Autumn of 2016 when I went to watch his Broadway performance on ‘Fiddler on the Roof’ in New York where he played the role of Perchik. I then got to have a little conversation with him outside the theatre. Our meeting was the stuff of dreams, and I looked forward to what more he’ll do in the future. At present I’m now catching Rappaport on his latest TV outing, “For the People”. This legal drama on ABC is rather meaningful for being one of the last Shondaland productions on the network before Shonda Rhimes becomes an exclusive show-maker for Netflix. At first glance the show has the tell-tale beats of pure Shondaland tale: young newbies on a professional workplace under the guidance of veterans, learning the ropes and finding their place in a grown-up world. This time it’s future prosecutors and defenders cutting their teeth in the Federal Court of New York’s South District, the so-called “Mother Court”. Ben here plays the role of brilliant rookie lawyer Seth Oliver, who is initially tied to two of the female characters: girlfriend Allison (Jasmin Savoy Brown) and young aggressive lawyer Kate (Susannah Flood). I can’t help but look forward to how Rappaport as Seth and Brown as Allison will proceed with their potentially serious relationship even as they focus on building their own career and the roles they play in court start to define their lives. I’m under the impression that “For the People” will be less on myth arcs and more on character development moving forward; hopefully I’m right. I’d mentioned that my life’s changed; so has Rapapport’s. He’s married now since September 2017 to his high school sweetheart, with whom he’d carried on a Facebook relationship. I congratulate Ben for his new TV outing, give my hearty approval for his Seth Oliver, and will stay tuned for more. Before she became a household name on television when she portrayed Archie Comics character Sabrina the Teenage Witch on the same-titled and long-running ABC (and later The CW) sitcom, Melissa Joan Hart already established a solid TV foundation for her acting career on Nickelodeon where she played the lead on “Clarissa Explains it All” from 1991 to 1994. This sitcom’s main draw was the early-teen main character Clarissa Darling (Hart), who hung lampshades on teenaged life as depicted on the show…by breaking the fourth wall and directly talking to the audience. Twenty-four years later, talks of a reboot have surfaced. Entertainment Weekly reports that Nickelodeon is looking to do a reboot of sorts for their 90s sitcom “Clarissa Explains It All”, produced by Thunder Pictures and distributed by CBS Television (though the network passed on its pilot leading to its going to Nick). This show, the second sitcom ever aired in the cable network’s early 90s program, starred Melissa Joan Hart on her first major TV role. The big kicker for this news is that Nickelodeon may have gotten Hart to come back as her character Clarissa, now the mother of a family. Fans of the actress can rejoice now. In addition to her being in the “Clarissa” reboot’s cast, Hart is also serving as co-executive producer of the sitcom through her Hartbreak Films production banner. Her co-exec is the original show’s creator Mitchell Kriegman, now in talks with Nick to also be the writer. Nickelodeon spokespersons note however that this reboot project is still in the earliest stages of development discussion, and the involvement of both Kreigman and Hart, while highly likely, has not been entirely finalized. Still, Nick’s dabbling in a return of “Clarissa” explaining it all is part of the recent trend of multiple TV show reboots. The original “Clarissa Explains It All” ran 65 episodes across five seasons, chronicling popular middle-schoolgirl Clarissa Darling’s fourth-wall-breaking narrations of her life growing up, messing with her annoying younger brother, and hanging out with her ladder-climbing boy friend (note the space) Sam. After the series run, a pilot was attempted for a sequel with Clarissa in college, and creator Kriegman took the literary approach with a 2015 novel about an adult Clarissa, entitled “Things I Can’t Explain”. The success of the sitcom led to Nickelodeon developing more shows with female leads, and lead star Hart went on to play “Sabrina”. Aside from “Clarissa”, another reboot that Nick is working on is that of children’s educational show “Blue’s Clues”. These appear to be one of the strategies being employed by the Viacom-owned cable channel to take advantage of a sudden slump in viewer numbers from rival networks like the Disney Channel. 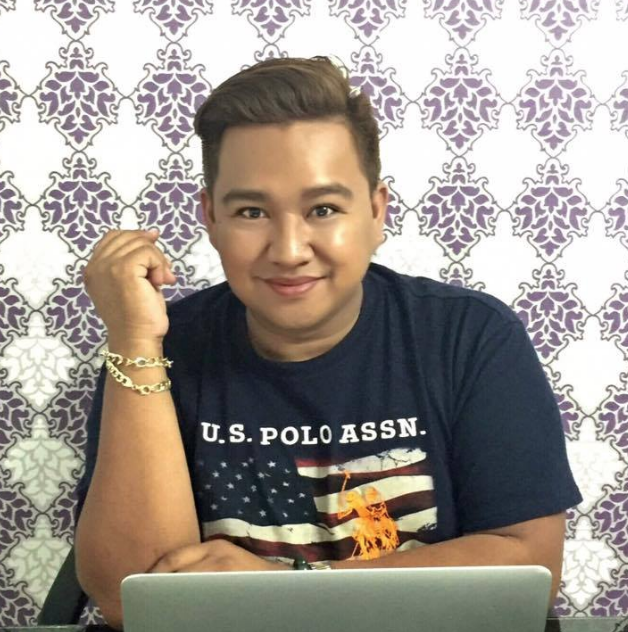 When it comes to deciding who will represent the Philippines in international beauty pageants, the “Binibining Pilipinas” beauty pageant has been the go-to source. For a time, its winner (and runner-ups) would carry the country for the then-Big Three competitions of Miss Universe (originally the Bb. Pilipinas title-holder), Miss World and Miss International (originally the first and second runners-up, before they became title-holders in their own right). In time, the Miss World candidate branched off with their own pageant, and Bb. Pilipinas selected just two of the now-Big Four. In the latest pageant for 2018 last Sunday, Catriona Gray triumphed. 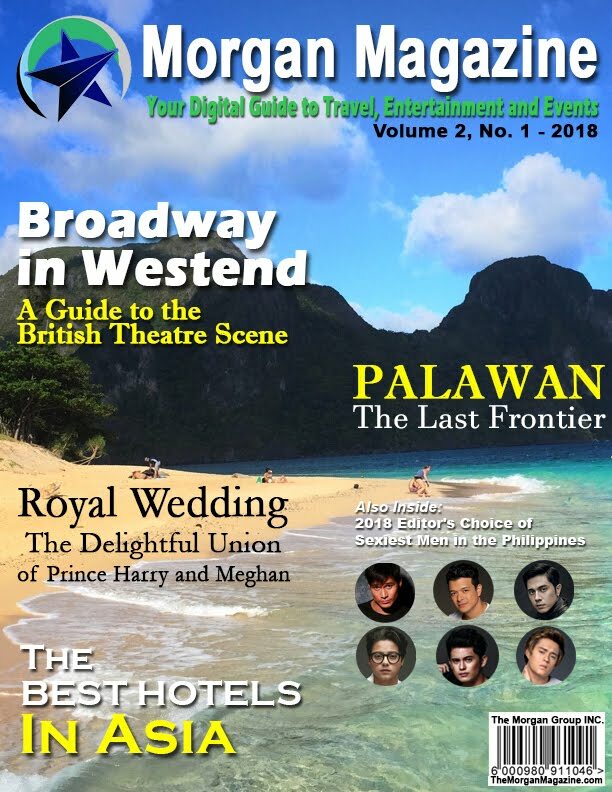 As ABS-CBN News tells it, the Filipino-Australian model and TV personality is going to be competing for an international beauty pageant title one more time after she was crowned Miss Universe Philippines 2018 during the 55th Binibining Pilipinas pageant held at the Smart Araneta Coliseum this March 18. Gray has been in this spot before two year ago, when she competed in and was crowned Miss World Philippines 2016, representing the country in the Miss World pageant of that year in the US. She got as far as the Top 5 then, and won three special awards in the contest. Having been graced with a second opportunity to champion Filipinos in the field of international beauty, the now-24-year-old Gray received the crown from her predecessor Rachel Peters, who in the Miss Universe 2017 pageant only made it to the Top 10. Owing her past experience in one of the Big Four, organizers and fans are hopeful that she will fare better in the next Miss Universe, even going so far as to do what Pia Wurtzbach did in 2015, along with Gloria Diaz and Margie Moran before them. The 2018 Miss Universe pageant will be held in Mongolia this year. To round out the other winners (and pageant representatives) in the Bb. Pilipinas 2018, Maria Ahtisa Manalo won as Bb. Pilipinas International for the other remaining Big Four in the contest. In addition, Karen Gallman was named Bb. Pilipinas Intercontinental, Michele Gumabao as Binibining Pilipinas Globe, Jehza Huelar as Binibining Pilipinas Supranational, and Eva Patalinjug as Binibining Pilipinas Grand International. Getting close but only making the runners-up spots are promising contestant Vickie Rushton on First, and Samantha Bernardo on second. 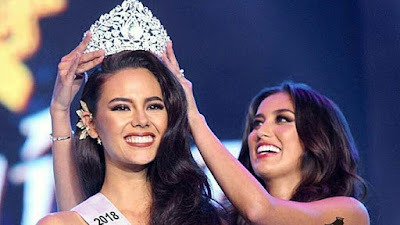 Catriona Gray is believed to have aced her win as Miss Universe Philippines in the Bb. Pilipinas with her answer to the Q&A round. Her question, asked by US Ambassador to the Philippines Sung Kim, was a statement from her addressed to the women of Marawi City, which had been the site of a devastating armed clash between government forces and Islamic State militants for the better part of 2017. It will be the finale season to beat all TV series finale seasons, if the producers over in HBO would have their say. After all, the fantasy drama “Game of Thrones” has been the face of their cable network’s high-profile programming for close to a decade now. In the show’s setting, the threats have become existential, the stakes have become apocalyptic, and the personal ambitions have become utterly unfettered in the face of universal doom. But while “GOT” season 8 is being hyped to be the greatest ending ever, a cast member candidly states the conclusion will not please everyone. 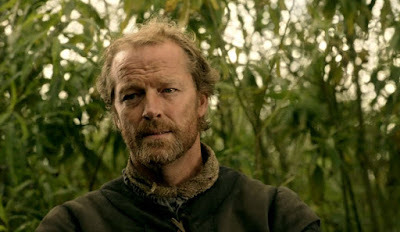 Entertainment Weekly reports that such is the opinion of British actor Iain Glen, who portrays Jorah Mormont, the lovesick and undyingly loyal retainer of Emilia Clarke’s Queen Daenerys. And he knows what he is talking about; the primary cast has already done a table reading of the events of the last season for “Game of Thrones”, and that it brought them to tears. Part of the reason would be how news sources that covered it are under the impression that the final character death toll will be catastrophic. That still does not mean that audiences will agree with their reactions. Due to the logistics necessary for filming, as the final act of “GOT” takes place in the dead of winter, season 8 will skip the 2018 TV season entirely, not returning until next year, in 2019. What can easily be confirmed is that show-runners DB Weiss and David Benioff have an entirely different conclusion in mind from George RR Martin, whose book series “A Song of Ice and Fire” is the basis for the show. The seventh book in his saga, “The Winds of Winter” is yet to release, but he confides that the ending of Book 8 is “bittersweet”. 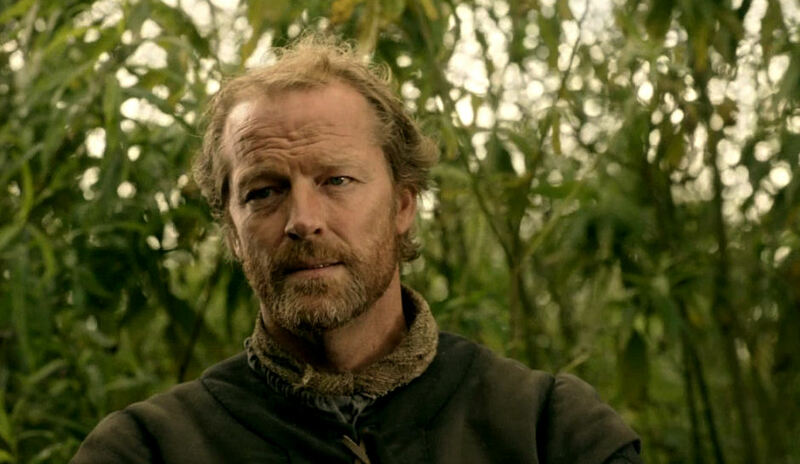 Outside his work in “Game of Thrones”, Iain Glen is due to appear with his HBO co-star Lena Headey – Cersei Lannister – in an upcoming immigration thriller “The Flood”. Previously he was an antagonist character in Screen Gems and Constantin Films’ last “Resident Evil” movie adaptation, which premiered in early 2017. Nowadays when multi-film superhero cinematic universes are churning out installments in production-line fashion, and super TV shows are prominent on both broadcast and digital streaming, it is a sure bet that there are many superhero fans around. 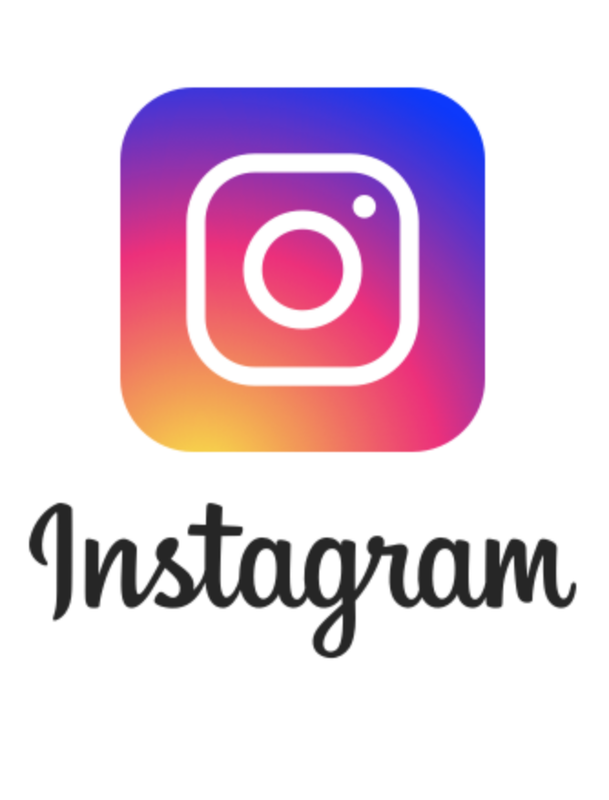 And to draw these newly-minted followers into the original source of their favorite characters – the comic books themselves – comic book conventions make it a point to mix the cinematic media with the print for branding synergy. ComicCon Asia 2018, being held here in the Philippines, operates on that strategy outlined above. Unfortunately one of their stars will not make it for health reasons. 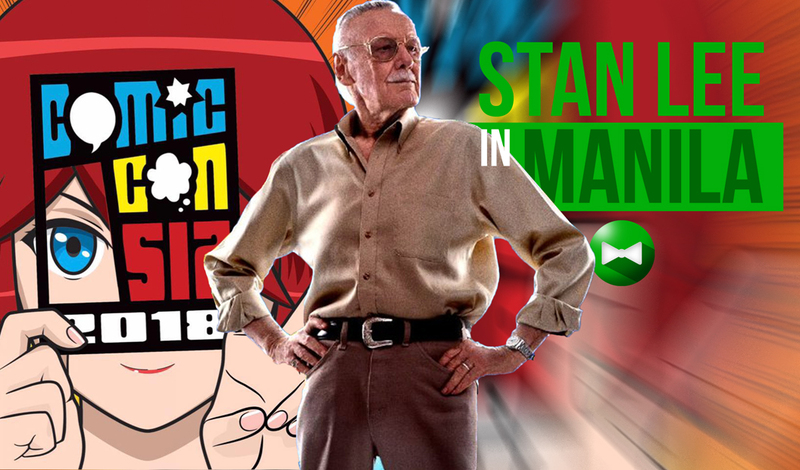 As CNN Philippines tells it, ComicCon Asia 2018 will have to make do with their program without an appearance from one of their guests of honor, Stan Lee himself. Lee of course is the former editor, then publisher of Marvel Comics, who created many of the characters that now grace films by Marvel Studios and Fox, and TV shows by ABC, Netflix and many more. But while he has never been one to turn down a convention invitation if he cannot help it, the fact that he is aged 95 means he has been slowing down and missing a few. The event organizers for ComicCon Asia 2018 posted the sad news on their official Facebook page this Thursday, May 16. As expected, Mr. Lee needed to bow out of the con due to pressing issues with his health. However, as the post further states, this means that attendees of the CCA2018 who got passes for the planned Stan Lee Q&A panel, Excelsior event, and the photo-op and autograph sessions (both regular and VIP varieties) will get their money reimbursed by the organizers. They need only to send their names, order number and mode of payment to payment@comiccon.asia to be refunded. ComicCon Asia 2018 will happen over the course of two days next-next weekend on March 24 (Saturday) and 25 (Sunday), at the SMX Convention Center in Pasay City. Other than Mr. Lee, several comic book artists from different publishers will be present for the panels. Local music artist and comic book aficional Yael Yuzon will be present as well. But one VIP guest would have to be actor Walter Jones, who portrayed Zack Taylor/the original Black Ranger in the first “Mighty Morphin Power Rangers” season. Stan Lee has been honored by Marvel superhero filmmakers for his creation of these characters by having him make cameo appearances in their various movies. A look at several films over the years can illustrate the sobering picture of the face of Marvel Comics getting on in age. Marvel fans can only hope for the best that he will appear in a few more films. It started as an April Fools’ joke in 2014 from Google, with help from Nintendo. They were advertising the Google Maps service by pretending that there was an Easter egg “game” function of finding Pokémon using the map data. 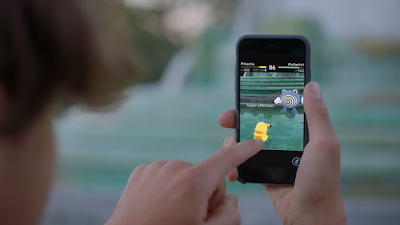 It was such a great “real” game idea that Niantic Labs developed it into an actual app for Nintendo called “Pokémon Go”, the surprise augmented reality (AR) phenomenon that took the world by storm back in 2016. Several franchises would follow Nintendo’s lead in making location-based mobile games using Google Map data. Now Google is opening that up to all developers. The Verge has it that Google is inviting mobile app developers to use Google Maps as a platform for new location-based games in the vein of “Pokémon Go”. Already two other big-name franchises have started their respective projects: AMC’s “The Walking Dead” and Universal Pictures’ “Jurassic World”. Google has already promised full access to Google Map data for software developers interested in collaborating with them, but the internet giant is also helping these outfits with the heavy data crunching by introducing two computing aids, a software development kit (SDK) and an application programming interface (API) to work with Google Maps. The SDK is based on one of the world’s most used gaming engines, Unity. 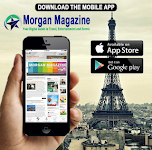 Its purpose is to incorporate mapping data of real-world locations to translate onto a game environment. Google’s Unity SDK essentially helps so that even programmers with minimal knowledge of Google Maps utility can program an app using its data. Meanwhile, the API works on the visual element of the app, to assist developers in, as Google puts it, “[finding] places that are appropriate, unique, and fun to play anywhere on Earth”. Google even prepared a tech demonstration to illustrate how the whole package comes together functionally. While all this new development buzz going on, Niantic Labs is busy with their next AR game app after “Pokémon Go”. Building off from the same Google Map data, they will soon launch the mobile game “Harry Potter: Wizards Unite” based on JK Rowling’s newly-minted Wizarding World franchise universe. Google plans to expound on its Maps offer to developers in San Francisco next week during this year’s Game Developers Conference. It often comes up on general trivia that as of this day and age, only two countries in the whole world do not allow divorce – the dissolution of marriage – and actively rail against any attempt at legislation in support of it. These nations are the Vatican City, center of the Roman Catholic Church, and the Republic of the Philippines in Asia, formerly a colony of Catholic Spain for over 300 years. Even in the face of social upheavals, Filipino lawmakers cannot seem to bring up the issue of a divorce bill without the vigilant Church torpedoing it eventually; until now. 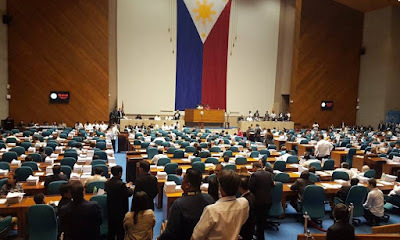 According to Inquirer.NET, this Wednesday the House of Representatives dropped a bombshell in Congress when, in the face of conservative and religious opposition, they managed to pass the Absolute Divorce Act of 2018 in the second reading. In a tense vocal vote, the House chamber resounded with more “ayes” than “nays” for the bill, which would provide for (the always hotly-contested notion of) legally binding absolute divorce in case of a permanently ruined marriage. This has been the Holy Grail of unhappy Filipino married couples, to be able to completely separate from one another and have the right to remarry. In the absence of divorce, the only recourses available for husband and wife in a destructive union were to file for either legal separation or annulment. The former only mandates separate homes for both halves of the marriage without dissolving the bond; the latter purportedly proves that the marriage was invalid from the start. Both options were time-consuming in court and prohibitively costly. Under the Absolute Divorce act, the dissolution process will be made as affordable as possible, that even impoverished couples may avail of it. But bill sponsor Rep. Edcel Lagman of Albay also put conditions to prevent misuse. First, when an absolute divorce petition is filed by a disgruntled couple, the court will not act on it until the end of a 6-month mandatory “cool-off” period wherein all efforts to effect reconciliation will be taken. Furthermore, any filing for divorce discovered to be done under coercion will result in the spouse responsible being fined P200000 plus a 5-month imprisonment. In this way, Lagman, explains, the Philippine State shall equally protect and preserve the sanctity of marriage, and protect spouses from irreconcilable unions to be freed by absolute divorce. As expected, opposition groups led by the Catholic Church have risen in uproar over the legislator action. The CBCP insists that the very existence of divorce makes it a “soft choice” that encourages couples to separate over the most inconsequential marital problems. But an SWS survey notes that as of March 10, about half of all Filipinos now favor divorce. Shonda Rhimes has been hailed as one of the titans of contemporary television series programming, thanks of course to her audience-generating dramas such as “Grey’s Anatomy”, “Private Practice” and “Scandal”. That would have been enough to earn her spot on TIME’s 100 People Who Help Shape the World” for 2007, but she has also executively produced more TV hits like “How to Get Away with Murder” and “Off the Map”. All of these have had a home for years on ABC, which Rhimes would be leaving for Netflix. But this abrupt departure might do both show-runner and network some good. 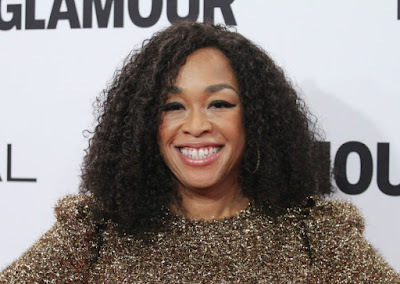 It is true, as CNN tells it, that the remarkable success of Shonda Rhimes and her Shondaland production company has given her great clout in ABC regarding what programs to develop, mostly from her. With Rhimes’ decision to take up Netflix’s generous exclusive offer, she not only allows the ABC network to begin entertaining ideas from other show creators; Rhimes herself will be moving to a challenging new environment, where she could push the content of any new Netflix originals she might develop further than the tolerable limits of broadcast TV. It is a win-win situation for both of them. And it is not as if Rhimes is switching from ABC to Netflix overnight. She still had time to bring out some last few Shondaland series for her TV home of many years. 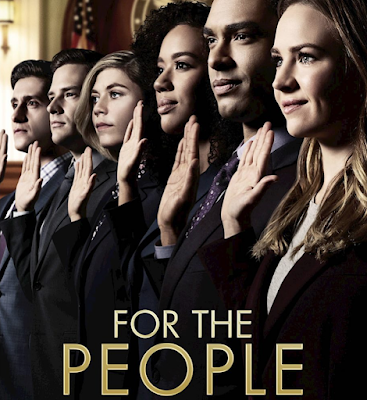 ABC7NY reports that the new legal drama “For the People” aired its pilot successfully Tuesday this week. It is produced by Rhimes with show-runner William Paul Davies, who is developing the plot by drawing from his past experience as a litigator. The premise is pure Shondaland: eager young newbie professionals in a high-pressure work environment. Fans of “How to Get Away with Murder” would feel right at home. The setting of “For the People” is the so-called “Mother Court”, or Southern Federal District of New York Federal Court. Here, freshly-minted lawyers get to cut their teeth in the practice of their profession, choosing between becoming prosecutors or defenders. Thus far the focus characters are two new court assistants who were close friends before passing the bar, played by Jasmin Savoy Brown and Britt Robertson. It is a sure bet that the series will follow them as they settle into their work environment, interact with the people around them, and become better – or worse off – when it ends. Also waiting to premiere next week is the firefighter-based action-drama series “Station 19”, the other swan-song Shondaland series for ABC and a spinoff to “Grey’s Anatomy”. Its backdoor pilot already aired as episode 13 of season 14 of “Grey’s Anatomy”, while its inaugural 10-episode season starts airing on March 22. 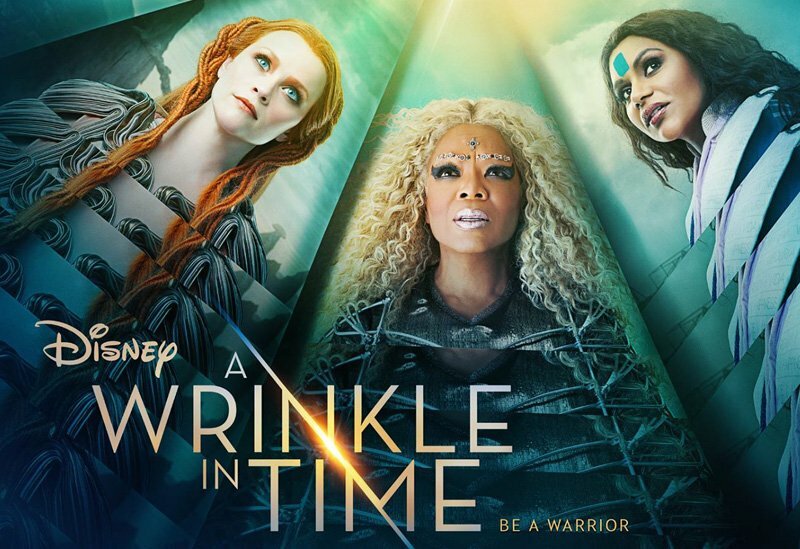 The release of movie trailers for the blockbusters of 2018 continues apace. 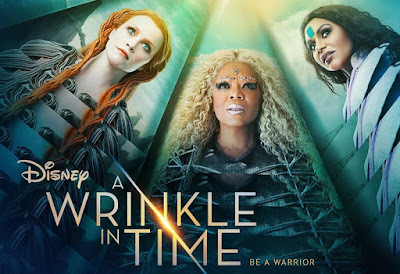 Now, we get to see Warner Bros. Pictures fire its next shot, with a sequel to a spin-off of a magical franchise. The 2016 film “Fantastic Beasts and Where to Find Them” was the first feature-length expansion for audiences of the Wizarding World where “Harry Potter” takes place in, particularly its early 20th Century background history. Two years later, its first sequel will continue the narrative from where it left off. And so, the first teaser trailer for “The Crimes of Grindelwald” arrived for excited fans to view. 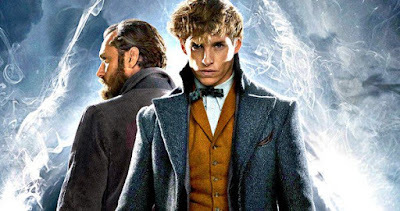 Entertainment Weekly was among the many news services that put up the freshly-uploaded YouTube video for the trailer of “Fantastic Beasts: The Crimes of Grindelwald” from Warner Bros. Pictures. The preview helps lay down the changes in the spinoff’s setting, as the sequel is set just about a year later. From the start it draws in longtime fans of its parent franchise “Harry Potter”, with a scene set in none other than Hogwarts School of Witchcraft and Wizardry where officials from the American wizarding government MACUSA visit Professor Albus Dumbledore, younger and played by Jude Law in all his hotness. MACUSA asks Dumbledore questions about the activities of his former student, British wizard and magi-zoologist Newt Scamander (Eddie Redmayne). Underneath Albus’ glib reply to the inquiry, he has already dispatched Newt to a vital mission, secretly tracking down the recently-escaped Gellert Grindelwald (Johnny Depp), Dark Wizard and magic supremacist planning to unmask the hidden Wizarding World and elevate witches and wizards as a despotic global order over non-magical people – British Muggles and American No-Majes. Dumbledore’s instructions to Newt, delivered in voiceover, are especially ominous: “I can’t move against Grindelwald; it has to be you.” And thus a new adventure begins. Those who have just come into the “Potter-verse” movies with the first “Fantastic Beasts” would be happy to know that its main cast will be returning: American sister witches Tina and Queenie Goldstein (Katherine Waterston and Alison Sudol, respectively) as well as No-Maj baker and World War I veteran Jacob Kowalski (Dan Fogler). The big shocker is the reveal that Credence Barebone (Ezra Miller) survived his death in the previous film, returning as a more evil form. This is the start of a darker, more sinister tale that would become the Wizarding War discussed in Hogwarts classes in Harry’s time. The film also stars Callum Turner as Theseus Scamander, Zoe Kravitz as Leta Lestrange and Carmen Ejogo as MACUSA President Seraphina Picquery. “Fantastic Beasts: The Crimes of Grindelwald” will premiere in cinemas on November 16.